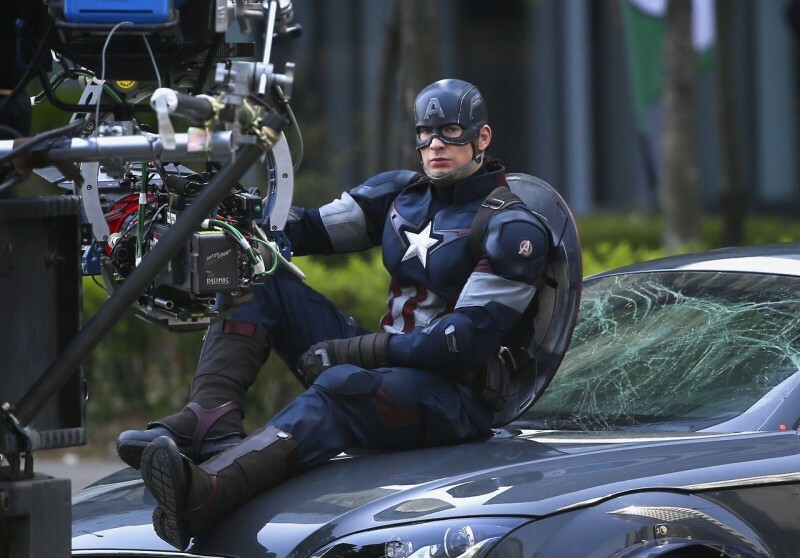 "First 'Avengers: Age of Ultron' trailer rumored to be played in front of Christopher Nolan's 'Interstellar'"
[caption id="attachment_59830" align="aligncenter" width="600"] Chris Evans on the set of 'Avengers: Age of Ultron'[/caption] According to ComicBookMovie.com (via Russian website Film Pro), our first glimpse at the Avengers: Age of Ultron will come in the form of a teaser trailer before Christopher Nolan's Interstellar (which drops November 7th). While this news seems slightly far-fetched - as Interstellar is being released by Warner Brothers and Paramount, whereas The Avengers sequel is being released by Marvel/Disney (not to mention Big Hero 6 bows on November 7th as well) - Marvel/Disney would certainly see the benefit in debuting their trailer before the most highly-anticipated feature of the year. Being relatively formulaic with their marketing, we can expect Marvel to release an online teaser for Age of Ultron a week or so before the theatrical release. Directed by Joss Whedon, Age of Ultron will feature a similar cast as that of the original Avengers, and is set to premier May 1, 2015. [caption id="attachment_59832" align="aligncenter" width="600"] Poster for Christopher Nolan's Interstellar[/caption] Interstellar is Christopher Nolan's long-awaited follow-up to the beloved Dark Knight franchise, and features performances by (the Oscar-winning) Matthew McConaughey, Anne Hathaway and Jessica Chastain. 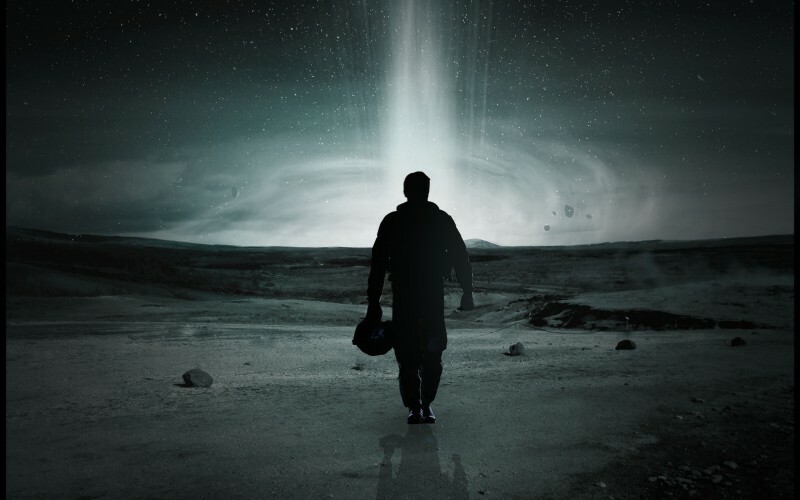 Interstellar has been building momentum with the dark tone and incredible visuals of its trailers, which have recently been ramped-up due to its impending release (see the new TV spots here via Empire).